This is regarded as one of the nicest beach resorts in Pagudpud and is located at Burayoc Point, at the end of Saud White Beach Cove. The building is constructed of appealing hardwoods, anahaw palm leaves, capiz shells, natural stones and terra cotta tiles. The resort building style consists of a fusion of tropical and Mediterranean influences. They also have the well regarded La Helen Restaurant which serves quality food. 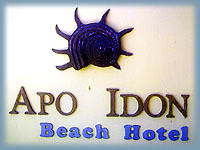 All rooms are air conditioned with satellite TV and there are hot showers in selected rooms. 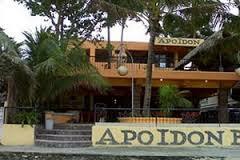 The Hotel also has WI-FI internet in guest rooms, restaurant and the pool area and even onto the beach. The hotel was fortunate to get a visit and be listed by the Lonely Planet Philippines guide book inspector. The room rates are around PHP 4000 in peak season to PHP 2400 in the off season, but check first. Where is Pagudpud? Pagudpud or Pagudpod as its sometimes called is superb one day and great the next. 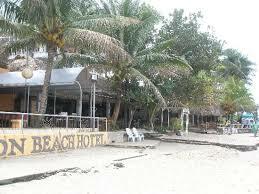 countless let know it's the Boracay of the North, We state it is Boracay as it formerly was! And that's why it's so popular. It is Boracay as it was 25 years ago! 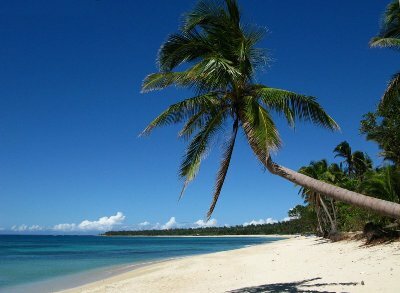 The virgin white sands of Saud Beach are situated at Pagudpud. The drowsy rural coastal community of Pagudpud is located on the most Northern tip of Luzon, in the Philippines and is about 50 miles up the sea-coast from Laoag City, the capital of Ilocos Norte province. It is also around 350 miles north of Manila, you could drive, catch a autobus or take a flight to Laoag City. The district is located to the north of Bangui and its now renowned windmills and inland lies the monumental Cordillera Mountain Range, the largest mountain range in the Philippines. over the other side of the mountain range lies the province of Cagayan. To the North and the West are the warm waters of the South China Sea. foreign tourists are nowadays becoming immensely interested and lately one of Australia's most respected and foremost foreign travel writers graded Saud Beach as Number 1 on the list of the Top Ten best Asian Beaches. discover Pagudpud before the tourists find out. The local district comprises genuinely beautiful and almost abandoned beaches, outstanding waterfalls, lovely picturesque vistas, and a real genuine get away from the rat race feeling. It is no wonder that so many movies and television commercials are filmed nearby. Can you imagine a beach without too many tourists, no noisy jet skis, no strip of bars and not even a McDonalds restaurant! Pagudpud is wonderfully situated amongst leafy green mountains, luxuriant valleys, rolling hills and flat coastal plains. The 20,000 citizens who inhabit in Pagudpud and the surrounding region subsist on rice agriculture, all-purpose agriculture, fishing, and the fresh fish and lobsters are delightful and economical here and more recently tourism is increasing.